Bloober Team, a development studio out of Poland has just announced a new title called Basement Crawl, which will be a PS4 exclusive digital title set for release within the console’s launch window. Not much is known about this title, except for first bit of concept art released today, so make sure to stay tuned to PlayStation LifeStyle as more details of this project will be shown at E3 2013. As Bloober Team has already had experience with A-Men, a PS Vita title that has only seen release in Europe/Japan, and iFun4all have seen releases on the PSP in the past, it is likely we will see a slew of smaller PSN and Vita titles down the road. What do you think Basement Crawl will be about? Will you be picking up any digital titles up when you get your PS4? 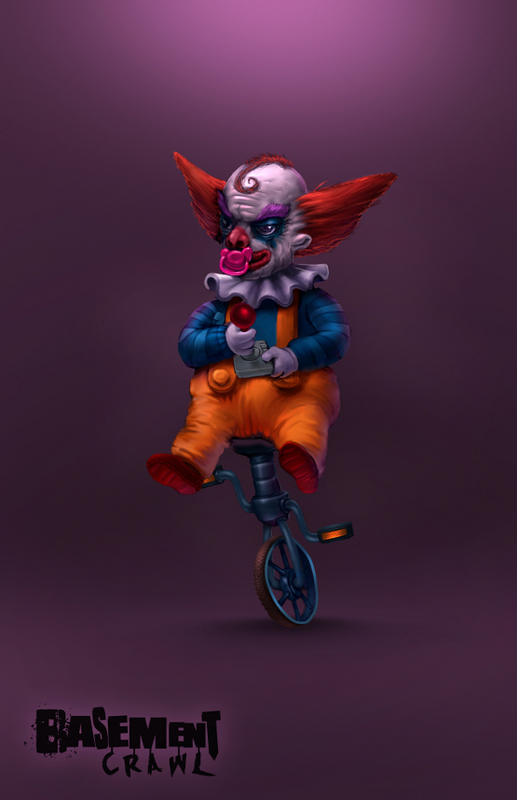 Do clowns on unicycles scare you too? Let us know in the comments below, and make sure to follow PSLS for all of your PlayStation needs.